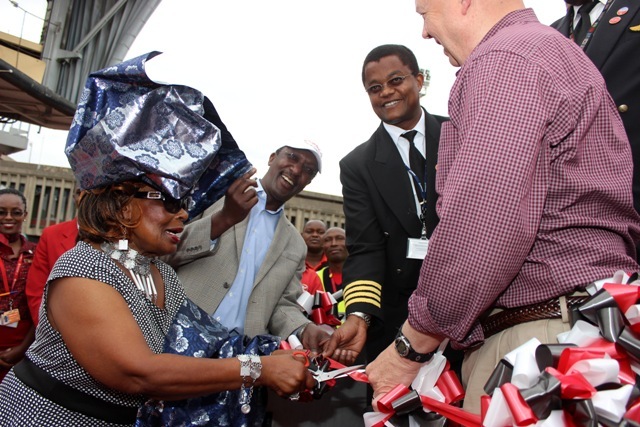 Yesterday Kenya Airways received their 3rd dreamliner at the Jomo Kenyatta International Airport in Nairobi. The Boeing 787 Dreamliner is a state-of-the-art aircraft that consumes less fuel. It features the very latest in aerodynamics, design and advanced technologies, this highly efficient aircraft provide better fuel efficiency of up to 20 percent compared to other long-haul aircrafts. 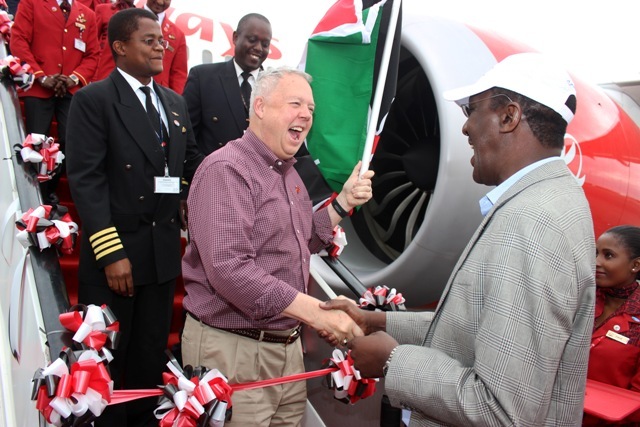 The dreamliner was flown in by Captain John Mathias Kimani, who is also the B787 Fleet manager. 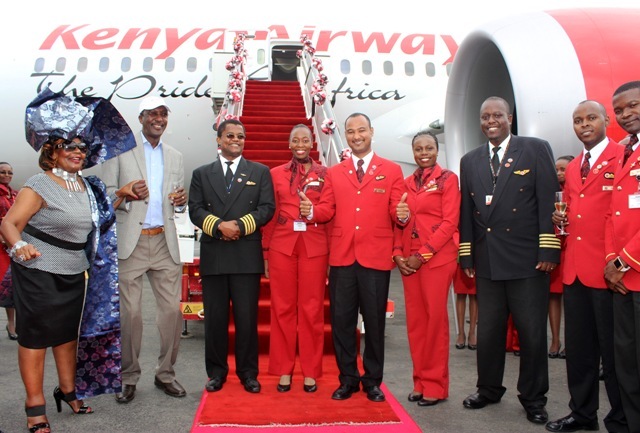 Kenya Airways’ Group Managing Director and Chief Executive Officer, Dr Titus Naikuni said that delivery of the third B787 stamps its position in the African skies as the airline with the largest network in the continent, and the youngest and most modern fleet. 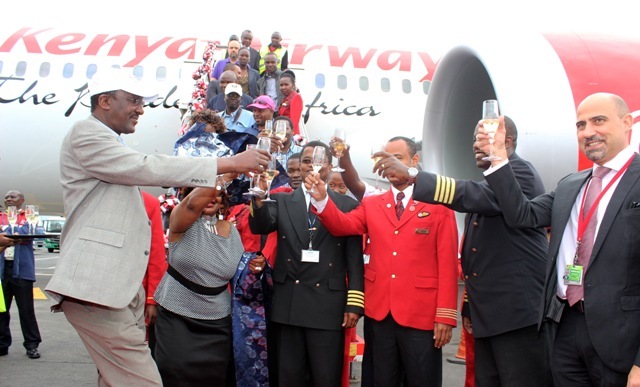 “The Dreamliner is our flagship aircraft. We are investing in this model as part of our fleet renewal programme, not only because of its advanced features but also the boost it gives to our long haul capability,” Dr Naikuni added. The airline expects to take delivery of three more Boeing 787 Dreamliner aircrafts by the end of the year. 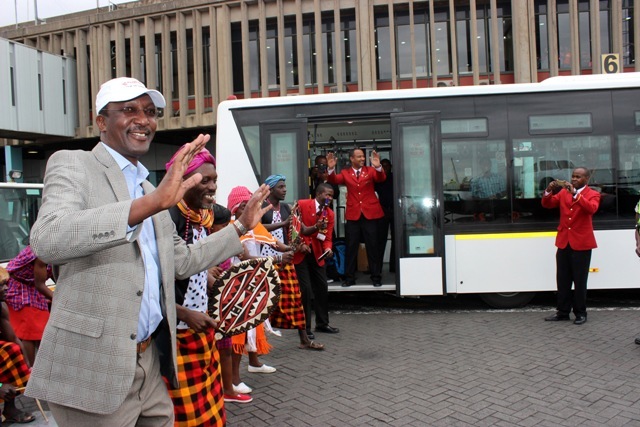 The first two Dreamliners — named ‘Great Rift Valley’ and ‘Zambezi River’ — have already been deployed to commercial service flying to Paris and Johannesburg respectively. The B787 also offers passengers unparalleled on-board comfort with greatly reduced noise, higher ceilings, biggest windows in the sky, flat beds in the premier world cabin, smoother flight, lower cabin pressure, higher humidity levels and ambient mood lighting contributing to a more rested feeling upon arrival in addition to cutting-edge aesthetics that includes more spacious interior cabin design featuring larger overhead bins with custom-made seats in both Business and Economy class as well as Cleaner air continuously circulating through an advanced filtration system.